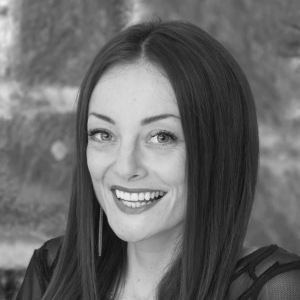 Emma has a bachelor of psychology, a master of counselling and psychotherapy, and specialist training in CBT-e for eating disorders as well as psychological approaches to obesity and over-eating from the Australian Centre for Eating disorders. Emma works with people struggling with emotional over-eating, food addiction and long-term weight management. She helps people to reduce disordered eating by finding a balance between over-indulgence (bingeing) and deprivation (short-term dieting), and to establish a healthier relationship with food and their bodies. She works with people to identify and overcome psychological barriers and triggers, decrease obsessive thoughts about weight and food, increase problem-solving skills to manage triggers and cravings and break habits, and learn to manage difficult thoughts and feelings without using food. She works in an empathic, non-judgmental way, using a mix of solution-focused, narrative and cognitive behavioural therapy (CBT) and is also trained in mindfulness and relaxation techniques. Although Emma’s focus is on disordered eating, she also works extensively with anxiety and depression. After 10 years in the corporate world of marketing, Emma retrained in counselling and psychotherapy and has always had an interest in the psychology behind over-eating. Emma worked with people with binge-eating and emotional over-eating issues both publically and privately in Sydney, Australia before moving back to her hometown of Auckland.